Clifden is known as the capital of Connemara and nestles between the Ttwelve Bens mountain range and the Atlantic Ocean at the mouth of Clifden Bay. It is located 50 miles from Galway on the N59 road and is recognised worldwide for its rich landscape and heritage. 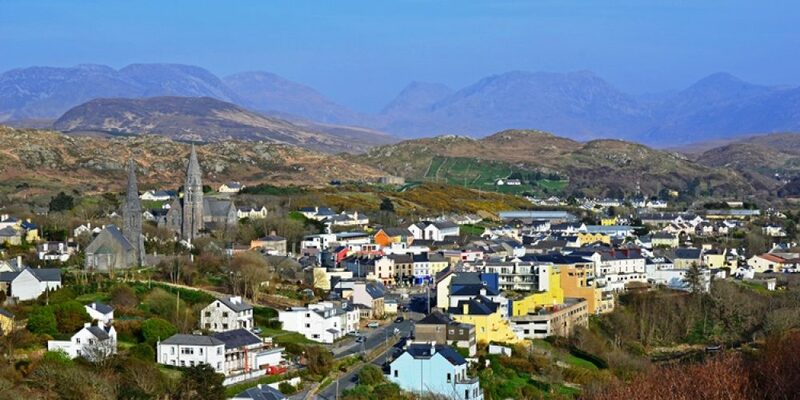 Whatever your taste in a holiday whether it’s a relaxing retreat or an action packed activity holiday, Clifden is an ideal spot to base yourself while exploring the region. Families will enjoy visiting the many sandy beaches in the area and swimming in the crystal clear sea, or participating in the many adventure activities available locally. Couples, young or old will enjoy the beautiful walks in the area and relax afterwards with a Guinness or two in the many pubs. 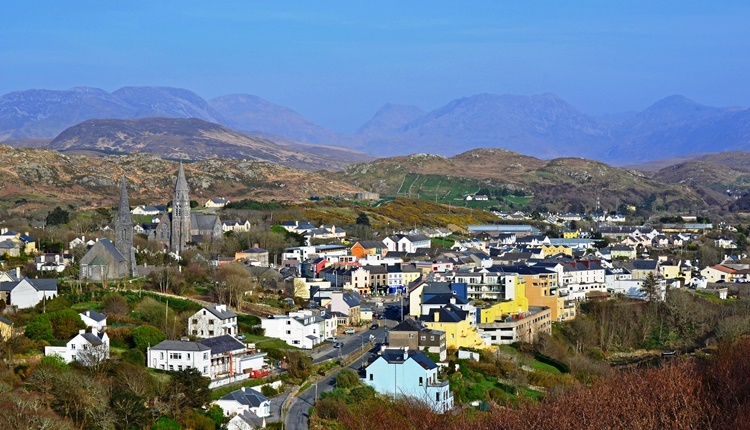 Although Clifden can be very popular, particularly in the summer months, there is always a relaxed atmosphere and it is a very family orientated town.